"From booking the hotel with parking to been picked back up at the terminal and returning to the hotel for our car not one problem everything ran very smoothly.I will be using you again when I next go on holiday in November. " Traffic jams and flight delays...these are little hiccups that can cause big problems when you're setting off on holiday. With Holiday Extras Traffic Assistant, our airport parking add-on, we'll give you help when you need it and make sure you get the best start to your holiday. 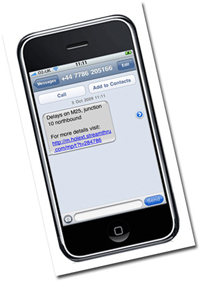 When you book your airport parking with us, we can text you updates on traffic conditions on the way to the airport so there are no nasty surprises in store. We'll also send you the latest airport shopping discounts straight to your phone, all for just £1.00. 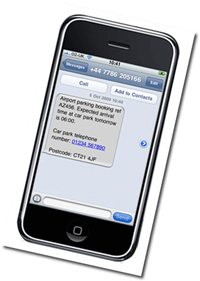 We'll confirm your airport parking booking reference, time of arrival, phone number and postcode of the car park to make sure that you have all the details that you need. With traffic information up to four hours before your flight, you'll have plenty of time to adjust your route to ensure the most hassle-free start to your holiday. When you arrive at your car park, we'll send two fantastic shopping deals to your phone for you to use in the departures shopping area. To take advantage of Holiday Extras Traffic Assistant, all you need to do is make your airport car park choice as usual on our website and then customise your parking booking. It costs just £1.00 for peace of mind.